This is a gift for a friend. It's a small 5.5" x 7" notebook. 34 blank pages for taking notes, sketching or journaling. My first Bookbinding project. A sketchbook I made for myself to motivate myself to practice drawing and mixed media. 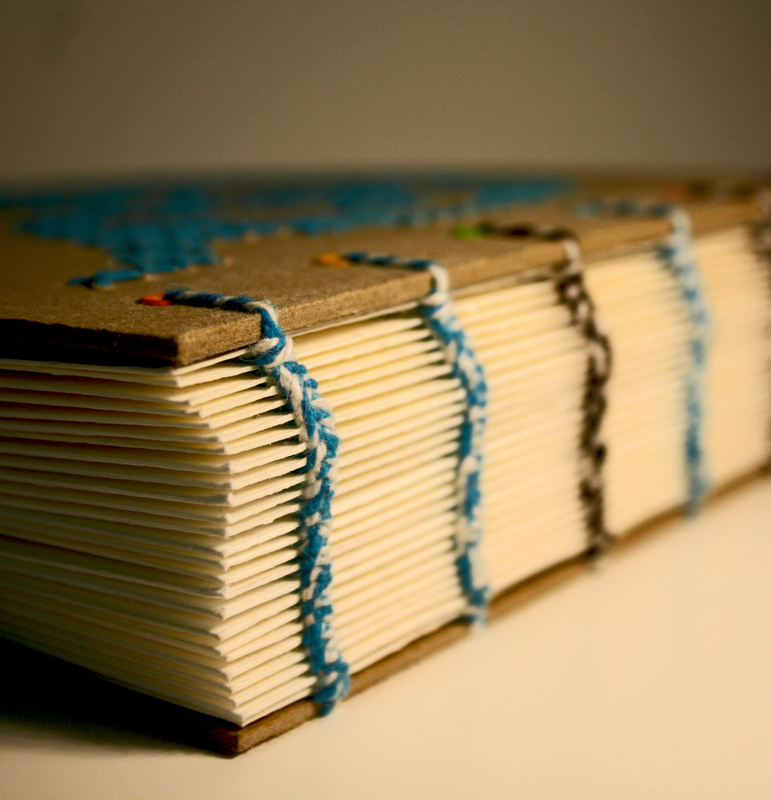 Bookbinding - Cross Stitch Cover - "CREATE"
I used the Single Sheet Binding Method here with some Bakers Twine. It wasn't easy but the outcome was certainly interesting. Bookbinding - Cross Stitch Cover - "IMAGINE"
For this book, I tried some Double Coptic action except I used four needles. It made for a smaller, neater book. My first Mini Album that I made for my cousin when she had her first baby girl. All credit goes to My Sister Scrapper. I got the album from her channel. Click here for the tutorial for this album. Another project I've started with many many spaces for photos and memorabilia. All credit goes to My Sister Scrapper. For the tutorial; click here.